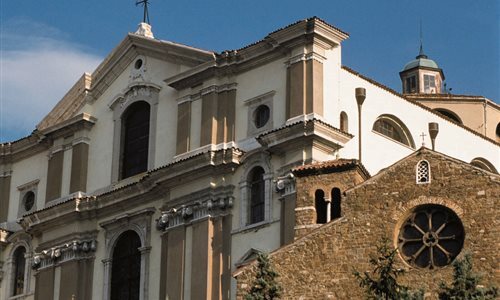 The Sanctuary of Santa Maria Maggiore rises majestically alongside the small Romanesque church of San Silvestro. The floor plan of the church is a Latin cross. The interior comprises a nave and two aisles with barrel vaulting, while a dome (rebuilt in 1817 after a fire) rises above the intersection of the transept.